Two childhood playmates grow into more than just friends in #1 New York Times bestselling author Jude Deveraux’s full-length romantic novel based on her short story of the same name. In the hugely popular, New York Times bestseller A Holiday of Love, Jude Deveraux wrote a novella about two kids playing matchmakers—Eli and Chelsea, best friends who were determined to find true love for Eli’s bighearted mother. But what happens when these ambitious children grow up? What exactly made Eli’s mother, Miranda, fall in love with Frank all those years ago? And how does that affect their future together? Eli and Chelsea lost touch with each other over the years, until Eli bought a house in his father’s hometown of Edilean, Virginia, and invited Chelsea for a visit. She had her own life, and was certain that a childhood friendship couldn't be anything more, but she went nonetheless—and found herself quite unprepared for the changes she saw in Eli. And neither of them were prepared to run into a mystery, with a family that needed to be rescued. Now, just like when they were children, they must join together to straighten out a very big problem. The question is what happens after the mystery is solved; they are very different people—so can they stay together? 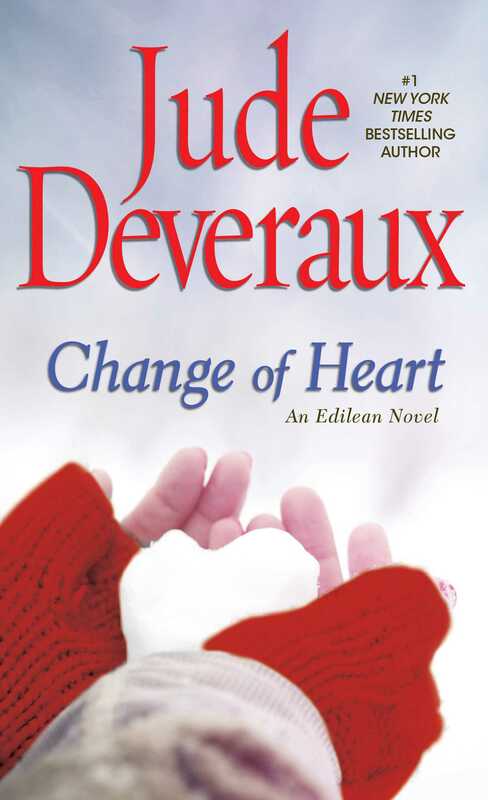 Combining love and passion with sweet, unexpected twists, and shedding new light on Miranda and Frank’s relationship, Change of Heart is an unforgettable addition to Deveraux’s classic bestselling novels. The man behind the desk looked at the boy across from him with a mixture of envy and admiration. Only twelve years old, yet the kid had a brain that people would kill to have. I mustn’t appear too eager, he thought. Must keep calm. We want him at Princeton—preferably chained to a computer and not allowed out for meals. Ostensibly, he had been sent to Denver to interview several scholarship candidates, but the truth was, this boy was the only one the admissions office was truly interested in, and the meeting had been set to the boy’s convenience. The department dean had arranged with an old friend to borrow office space that was in a part of town close to the boy’s very middle-class house so he could get there by bike. “Ahem,” the man said, clearing his throat and frowning at the papers. He deepened his voice. Better not let the kid know that he was only twenty-five and that if he messed up this assignment, he could be in serious trouble with his advisers. The boy was tall for his age but thin, as though he were growing too fast for his weight to catch up with him. For all that he had one of the great brains of the century, he looked like something out of Tom Sawyer: dark hair that no comb could tame, freckles across skin that would never tan, dark blue eyes behind glasses big enough to be used as a windshield on a Mack truck. As far as the man could tell, the boy showed no emotion. Cold little bugger, the man thought. Heart as frigid as a computer chip. Maybe he wasn’t real at all but one of his own creations. Somehow, putting the boy down made him feel better about his own IQ, which was a “mere” 122. Quickly, he shook the boy’s hand, and as he did so he realized that in another year the boy would be taller than he was. “I’ll be in touch,” he said and left the room. Slowly, he walked out the door, giving the man time to get away. Eli knew that the man hadn’t liked him, but he was used to that. A long time ago Eli had learned to be very, very cautious with people. Since he was three he had known he was “different” from other kids. At five his mother had taken him to school to be tested, to see whether he fit into the redbirds or the bluebirds reading group. Busy with other students and parents, the teacher had told Eli to get a book from the shelf and read it to her. She had meant one of the many pretty picture books. Her intention had been to find out which children had been read to by their parents and which had grown up glued to a TV. Like all children, Eli had wanted to impress his teacher, so he’d climbed on a chair and pulled down a college textbook titled Learning Disabilities that the teacher kept on a top shelf, then quietly went to stand beside her and began softly to read from page one. Since Eli was a naturally solitary child and his mother didn’t push him to do what he didn’t want to do, he had spent most of his life in near seclusion. He’d had no idea that reading from a college textbook when he was a mere five years old was unusual. All he’d wanted to do was to pass the reading test and get into the top reading group. Even though he was only five, Eli had recognized the wide-eyed look of horror on the teacher’s face. Her expression had said, What do I do with this freak? Since his entry into school, Eli had learned about being “different.” He’d learned about jealousy and being excluded and not fitting in with the other children. Only with his mother was he “normal.” His mother didn’t think he was unusual or strange; he was just hers. Now, years later, when Eli left his meeting with the man from Princeton, he was still shaking, and when he saw Chelsea he gave her one of his rare smiles. When Eli was in the third grade, he’d met Chelsea Hamilton, who was not as smart as he was, of course, but near enough that he could talk to her. In her way Chelsea was as much a freak as Eli was, for Chelsea was rich—very, very rich—and even by six she’d found that people wanted to know her for what they could get from her rather than her personality. The children had been two oddities in the boring little classroom, and they’d become eternal friends. “Well?” Chelsea demanded, bending her head to look into Eli’s face. She was six months older than he, and she’d always been taller. But now Eli was beginning to catch up to her. “What are you doing in this building?” Eli asked. “You aren’t supposed to be here.” Smugly, he was making her wait for his news. “You’re slipping, brain-o. My father owns this place.” She tossed her long, golden, glossy hair. “And he’s friends with the dean at Princeton. I’ve known about the meeting for two weeks.” At twelve, Chelsea was already on the way to being a beauty. Her problems in life were going to be the stuff of dreams: too tall, too thin, too smart, too rich. Their houses were only ten minutes apart, but in value, they were miles apart. Eli’s house would fit into Chelsea’s marble foyer. Eli smiled again. Chelsea hadn’t realized that she’d said “us,” meaning the two of them. She was great at the emotional blackmail of her parents, who spent most of their lives traveling around the world, leaving the family business to Chelsea’s older siblings. A few tears of anguish and her parents gave her anything money could buy. “Princeton wants me,” Eli said as they emerged into the almost constant sunshine of Denver, its clean streets stretching before them. The autumn air was crisp and clear. “I’m to go in the spring semester, just to get my feet wet, then a summer session. If my work is good enough, I can enter full-time next fall.” For a moment he turned to look at her, and for just that second he let his guard down and Chelsea saw how very much he wanted this. Eli passionately hated the idea of high school, of having to sit through days of classes with a bunch of semiliterate louts who took great pride in their continuing ignorance. This program would give Eli the opportunity to skip all those grades and get on with something useful. “I can’t go,” Eli said. It took a moment for those words to register with Chelsea. “You can’t go to Princeton?” she whispered. “Why not?” Chelsea had never considered, if she wanted something—whether to buy it or do it—that she wouldn’t be able to. When Eli looked at her, his face was full of anguish. “Who’s going to take care of Mom?” he asked softly. Chelsea opened her mouth to say that Eli had to think of himself first, but she closed it again. Eli’s mom, Miranda, did need taking care of. She had the softest heart in the world, and if anyone had a problem, Miranda always had room to listen and love. Chelsea never liked to think that she needed anything as soppy as a mother, but there had been many times over the years when she’d flung herself against the soft bosom of Eli’s ever-welcoming mother. However, it was because of Miranda’s sweetness that she needed looking after. His mother was like a lamb living in a world of hungry wolves. If it weren’t for Eli’s constant vigilance . . . Well, Chelsea didn’t like to think what would have happened to his mother. Just look at the horrid man she’d married. Eli’s father was a gambler, a con artist, promiscuous, and a liar of epic proportions. “When do you have to give them your answer?” Chelsea asked softly. “My birthday,” Eli answered. It was one of his little vanities that he always referred to Christmas as his birthday. Eli’s mom said that he was her Christmas gift from God, so she was never going to cheat Eli because she’d been lucky enough to have him on Christmas Day. So every Christmas, Eli had a pile of gifts under a tree and another pile on a table with a big, gaudy birthday cake, a cake that had no hint of anything to do with Christmas. In silence, the two of them locked their bikes, then walked down Denver’s downtown streets, forgoing the trolley that ran through the middle of town. Chelsea knew that Eli needed to think, and he did that best by walking or riding his bike. She knew without asking that Eli would never abandon his mother. If it came to a choice between Princeton and taking care of his mother, Eli would choose the person he loved best. For all that Eli managed to appear cool and calculating, Chelsea knew that when it came to the two people he loved the most—her and his mother—inside, Eli was marshmallow cream. Unfortunately, Miranda’s generosity didn’t just extend to children but to every living creature. Eli said that if it were left up to his mother, there would be no need for a city animal shelter because all the unwanted animals in Denver would live with them. For a moment, Chelsea had an image of sweet Miranda surrounded by wounded animals and uneducated men asking her for money. For Chelsea, “uneducated men” was the worst image she could conjure. “Maybe if you tell her about the offer, she’ll come up with a solution,” Chelsea said helpfully. Chelsea rolled her eyes skyward. In every other aspect of life Eli had the most purely scientific brain she’d ever encountered, but when it came to his mother, there was no reasoning with him. Chelsea also thought Miranda was a lovely woman, but she wasn’t exactly ready for sainthood. For one thing, she was thoroughly undisciplined. She ate too much, read too many books that did not improve one’s mind, and wasted too much time on frivolous things, like making Eli and Chelsea Halloween costumes. Of course, neither of them ever told her that they thought Halloween was a juvenile holiday. Instead of tramping the streets asking for candy, they would go to Chelsea’s house and work on their computers while dripping artificial blood. They sent the butler out to purchase candy that they’d later show to Eli’s mom so she’d think they were “normal” kids. Only once had Chelsea dared tell Eli that she thought it was a bit absurd for them to sit at their computers wearing uncomfortable and grotesque costumes while calculating logarithms. Eli had said, “My mother made these for us to wear,” and that had been the final decree. The matter was never mentioned again. As Eli rode his bike onto the cracked, weedy concrete drive of his mother’s house, he caught a glimpse of the taillights of his father’s car as it scurried out of sight. “Deadbeat!” Eli said under his breath, knowing that his father must have been watching for him so he could run away as soon as he saw his son. Every time Eli thought of the word father his stomach clenched. Leslie Harcourt had never been a father to him, nor a husband to his wife, Miranda. The man had spent his life trying to make his family believe he was “important.” Too important to talk to his family; too important to go anywhere with his wife and child; too important to give them any time or attention. But Leslie Harcourt never listened to anyone except himself—and he was a master at figuring out how to manipulate other people so he could get as much out of them as possible. Leslie knew that his wife, Miranda, was softhearted; it was the reason he’d married her. She forgave anyone anything, and all Leslie had to do was say “I love you” every month or so and Miranda forgave him whatever. And in return for those few words, Miranda gave Leslie security. She gave him a home that he contributed little or no money to and next to no time; he had no responsibilities either to her or to his son. Most important, she provided him with an excuse to give to all his women as to why he couldn’t marry them. He invariably “forgot” to mention that all these “friends” who “needed” him were women—and mostly young, with lots of hair and long legs. When he was very young, Eli had not known what a “father” was, except that it was a word he heard other children use, as in “My father and I worked on the car this weekend.” Eli rarely saw his father, and he never did anything with him. But Eli and Chelsea had put an end to Leslie and all his Helpless Hannahs two years ago. It was Chelsea who first saw Eli’s father with the tall, thin blonde as they were slipping into an afternoon matinee at the local mall. And Chelsea, using the invisibility of being a child, sat in front of them, twirling chewing gum (which she hated) and trying to look as young as possible, as she listened avidly to every word Eli’s father said. “Then he started kissing her neck,” Chelsea reported. When Eli heard this account, he had to blink a few times to clear his mind. The sheer enormity of this lie of his father’s was stunning. As long as he could remember, his father had never kissed him good-night. In fact, Eli wasn’t sure his father even knew where his bedroom was located in the little house that needed so much repair. The smile Chelsea gave him was conspiratorial. “Robin and Marian,” she whispered, and he nodded. Years earlier, they’d started calling themselves Robin Hoods. The legend said that Robin Hood righted wrongs and did good deeds and helped the underdog. It was Miranda who’d first called them Robin and Marian, after some soppy movie she loved to watch repeatedly. Laughingly, she’d called them Robin and Marian Les Jeunes, French for “youths,” and they’d kept the name in secret. Only the two of them knew what they did: They collected letterhead stationery from corporations, law firms, doctors’ offices, wherever, then used a very expensive publishing computer system to duplicate the type fonts, then sent people letters as though from the offices. They sent letters on law-office stationery to the fathers of children at school who didn’t pay child support. They sent letters of thanks from the heads of big corporations to unappreciated employees. They once got back an old woman’s four hundred dollars from a telephone scammer. Only once did they nearly get into trouble. A boy at school had teeth that were rotting, but his father was too cheap to take him to the dentist. Chelsea and Eli found out that the father was a gambler, so they wrote to him, offering free tickets to a “secret” (because it was illegal) national dental lottery. He would receive a ticket with every fifty dollars he spent on his children’s teeth. So all three of his children had several hundred dollars’ worth of work done, and Chelsea and Eli dutifully sent him beautiful red-and-gold, hand-painted lottery tickets. The problem came when they had to write the man a letter saying his tickets did not have the winning numbers. The man went to the dentist, waving the letters and the tickets, and demanded his money back. The poor dentist had had to endure months of the man’s winking at him in conspiracy while he’d worked on the children’s teeth, and now he was being told he was going to be sued because of some lottery he’d never heard of. In order to calm the man down, Chelsea and Eli had to reveal themselves to the son who they’d helped in secret and get him to steal the letters from his father’s night table. Chelsea then sent the man one of her father’s gold watches (he had twelve of them) to get him to shut up. Later, after they’d weighed the good they had done of fixing the children’s teeth against the near exposure, they decided to continue being Robin and Marian Les Jeunes. “So what are we going to do with your father?” Chelsea asked, and she could see that Eli had no idea. At that, Chelsea and Eli looked at each other without comprehension. They knew they loved each other, but then they also liked each other. How could anyone love a man like Leslie Harcourt? There wasn’t anything at all likable about him. “I would like to give my mother what she wants,” Eli said. “Tom Selleck?” Chelsea asked, without any intent at humor. Miranda had once said that what she truly wanted in life was Tom Selleck—because he was a family man, she’d added, and no other reason. For a moment they looked at each other in puzzlement. Eli had recently been trying to make a computer think, and they both knew that doing that would be easier than trying to make Leslie Harcourt stay home and putter in the garage. “This is a question for the Love Expert,” Chelsea said, making Eli nod. Love Expert was what they called Eli’s mom because she read romantic novels by the thousands. After reading each one, she gave Eli a brief synopsis of the plot, then he fed it into his computer data banks and made charts and graphs. He could quote all sorts of statistics, such as that 18 percent of all romances are medieval, then he could break that number down into fifty-year sections. He could also quote about plots, how many had fires and shipwrecks, how many had heroes who’d been hurt by one woman (who always turned out to be a bad person) and so hated all other women. According to Eli the sheer repetition of the books fascinated him, but his mother said that love was wonderful no matter how many times she read about it. So Eli and Chelsea consulted Miranda, telling her that Chelsea’s older sister’s husband was having an affair with a girl who wanted to marry him. He didn’t want to marry her, but neither could he seem to break up with her. Here Eli gave Chelsea an I-knew-she’d-know look. 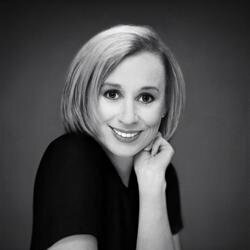 Chelsea and Eli didn’t say any more, but after a few days of research, they sent a note to Eli’s father on the letterhead of a prominent physician, stating that Miss Heather Allbright was pregnant with his child, and his office had been directed to send the bills to Leslie Harcourt. Sending the bills had been Chelsea’s idea, because she believed that all bills on earth should be directed to fathers. But things did not work out as Chelsea and Eli had planned. When Leslie Harcourt confronted his mistress with the lie that she was expecting his child, the young woman didn’t so much as blink an eye, but broke down and told him it was true. From what Eli and Chelsea could find out—and Eli’s mother did everything she could to keep Eli from knowing anything—Heather threatened to sue Leslie for everything he had if he didn’t divorce Miranda and marry her. Miranda, understanding as always, said they should all think of the unborn baby and that she and Eli would be fine, so of course she’d give Leslie the speediest divorce possible. Leslie said it would especially hasten matters if he had to pay only half the court costs and only minimal child support until Eli was eighteen. Generously, he said he’d let Miranda have the house if he could have anything inside it that could possibly be of value, and of course she would assume the mortgage payments. When the dust settled, Chelsea and Eli were in shock at what they had caused, too afraid to tell anyone the truth—but if Heather was going to have a baby, then they had told the truth. One week after Eli’s father married Heather, she said she’d miscarried and there was no baby. Eli never could get his mother to explain that remark, but he was very glad she wasn’t hurt by the divorce. Eli thought that was a very good consideration. His mother often had the ability to see right to the heart of a matter. “What did he want?” Eli asked the moment he opened the door to the house he shared with his mother. For a moment Miranda grimaced, annoyed that her son had caught his father there. Escaping Eli’s ever-watchful eye was like trying to escape a pack of watchdogs. “Nothing much,” she said evasively. Miranda rolled her eyes skyward. Eli did some quick calculations in his head. He always knew to the penny how much money his mother had in her checking account—there was no savings account—and how much was in her purse, even to the change. “Two hundred dollars,” he said. “You gave him a check for two hundred dollars.” That was the maximum she could afford and still pay the mortgage and groceries. When Miranda remained tight-lipped in silence, he knew he’d hit the amount exactly on the head. Later, he’d tell Chelsea and allow her to congratulate him on his insight. Eli uttered a curse word under his breath. As always, Miranda’s face lost its stern look and she laughed. She was as unable to remain angry with Eli as she was to resist the whining and pleading of her ex-husband. She knew Eli would hate for her to say this, but he was very much like his father. Both of them always went after whatever they wanted and allowed nothing to stop them. No, Eli wouldn’t appreciate such an observation in the least. Eli was so annoyed with his mother for once again allowing Leslie Harcourt to con her out of paying the child support that he couldn’t say another word, but turned away and went to his room. At this moment his father owed six months in back child support. Instead of paying it, he’d come to Miranda and shed a few tears, telling her how broke he was, knowing he could get Miranda to give him money. Eli knew that his father liked to test his ability to sell at every opportunity. Seeing if he could con Miranda was an exercise in salesmanship. Eli spent thirty minutes in his room, stewing over the perfidy of his father, but when he saw that his mother was outside tending her roses, he went back to the living room and called the man who was his father. Eli didn’t waste time with greetings. “If you don’t pay three months’ support within twenty-four hours and another three months’ within thirty days, I’ll put sugar in the gas tank of your new car.” He then hung up the phone. Twenty-two hours later, Leslie appeared at the door of Miranda’s house with the money. As Eli stood behind his mother, he had to listen to his father give a long, syrupy speech about the goodness of people, about how some people were willing to believe in others, while others had no loyalty in their souls. Eli stood it for a few minutes, then he looked around his mother and glared at his father until the man quickly left, after loudly telling Miranda that he’d have the other three months’ support within thirty days. Eli restrained himself from calling out that within thirty days he’d owe not three months’ support but four. “What are we going to do?” Chelsea whispered. They were sitting side by side on a swing glider in the garden on her parents’ twenty-acre estate. It was prime real estate, close to the heart of Denver. Her father had bought four houses and torn down three of them to give himself the acreage. Not that he was ever there to enjoy the land, but he got a lot of joy out of telling people he had twenty acres in the city of Denver. After the story Eli had just told her, Chelsea had no doubt of this. And this wasn’t the first time Leslie Harcourt had pulled a scam on his sweet ex-wife. “I wish . . .” She trailed off, then stood up and looked down at Eli. His head was bent low as he contemplated what he was giving up by not taking this offer from Princeton. She knew he hated the idea of high school almost as much as he loved the idea of getting on with his computer research. Sometimes Eli was vividly reminded of how he and Chelsea differed on money. To him and his mother two hundred dollars was a great deal, but the woman who cut Chelsea’s hair charged three hundred dollars a visit. Eli just looked at her and said nothing, and when he had that expression on his face, she knew she was not going to get another word out of him. Eli had an unbreakable ability to keep secrets. But it was two days later that Eli called a meeting for the two of them in Sherwood Forest, their name for her father’s garden. Chelsea had never seen such a light in his eyes before. It was almost as though he had a fever. “What’s wrong?” she whispered, knowing it had to be something awful. When he handed her a newspaper clipping, his hand was shaking. Having no idea what to expect, she read it, then knew less than she did before she’d started. It was a small clipping from a magazine about a man named Franklin Taggert, one of the major heads of Montgomery-Taggert Enterprises. He’d been involved in a small accident and his right arm had been broken in two places. Because he had chosen to seclude himself in a cabin hidden in the Rocky Mountains until his arm healed, several meetings and contract finalizations had been postponed. “He’s my friend,” Eli said in a voice filled with such awe that Chelsea felt a wave of jealousy shoot through her. “Your billionaire?” she asked disdainfully. Chelsea was not sure whether or not she liked that statement. Chelsea’s eyebrows had risen to high up in her hairline. This was a whole new Eli she was seeing. “So now you plan to get your mother the job of nursing this man? But Eli,” she said gently, “how do you get this man to hire your mother? And how do you know he’s a good man, not just a wealthy one? And if they do meet, how do you know they’ll fall in love? I think falling in love has to do with physical vibrations.” She’d read this last somewhere, and it seemed to explain what her dopey sisters were always talking about. She didn’t remember, but she nodded anyway. “For the stationery,” Chelsea said. He told her how when he was standing there, bored, with a condescending secretary asking the children if they would like to play with the paper clips, Eli looked across the room to see a man sitting on the edge of a desk talking on the telephone. He had on a denim shirt, jeans, and cowboy boots. Maybe he was dressed like the janitor, but to Eli the man radiated power, like a fire generating heat waves. Quietly moving about the room, Eli got behind him so the man couldn’t see him, then listened to his telephone conversation. It took Eli a moment to realize that the man was making a multimillion-dollar deal. When he talked of “five and twenty,” he was talking of five million and twenty million. Dollars. When the man hung up, Eli started to move away. Eli froze in his tracks, his breath held. He couldn’t believe the man knew he was there. Most people paid no attention to kids. How had this man seen him? Eli stood straighter, then walked to stand in front of the man. Since adults seemed to like to think that children could hear only what the adults wanted them to, Eli usually found it expedient to lie. But he didn’t lie to this man. He told him everything: numbers, names, places. He repeated whatever he could remember of the phone conversation he’d just heard. Eli took a deep breath. He and Chelsea had never told an adult about their collection of letterheads, much less what they did with them. But he told this man the truth. “Yes, sir, Mr. Taggert,” the secretary said, looking in wonder at Eli. All the employees were terrified of Frank Taggert, yet this child had done something to merit his special consideration. “With your mind, you’re going to study everything,” Frank said as he got off the desk and turned away, then disappeared through a doorway. Eli stared after him, but in that moment, with those few words, he felt that his future had been decided. He knew where he was going and how he was going to get there. And for the first time in his life, Eli had a hero. “And then what?” Chelsea asked. Part of Chelsea wanted to scream that he had betrayed her by not telling her of this. Two years! He had kept this from her for two whole years. But she’d learned that it was no good berating Eli. He kept secrets if he wanted to and seemed to think nothing of it. “So you want your mother to marry this man? Why did you just come up with this idea now?” She meant her words to be rather spiteful, to get him back for hiding something so interesting from her, but she knew the answer as soon as she asked. Until now Eli had wanted his beloved mother to himself. Her eyes widened. If Eli was willing to turn his mother over to the care of this man, he must . . .
“He is like a father to me,” Eli said softly. The way Eli said “Of course” mollified her temper somewhat. “Okay, so how do we get them together? Where is this cabin of his?” She didn’t have to ask how they would get his mother up there. All they had to do was write her a letter on Montgomery-Taggert stationery and offer her a nursing job. Eli set his mouth tighter, his head propped in his hands in despair. They’d spent three weeks sending faxes and writing letters to people, hinting that they needed to know where Frank Taggert was. Either people didn’t know or they weren’t telling. But they had tried everything and still couldn’t get his mother together with Mr. Taggert. “There is one thing we haven’t tried yet,” Chelsea said. Eli gave her a completely puzzled look. Michael Taggert looked up from his desk to see his secretary, Kathy, at the door wearing a mischievous grin. “He brought his secretary with him,” Kathy said, breaking into a wide smile. Mike couldn’t see why a man and his secretary would cause such merriment, but then Kathy stepped aside and Mike saw two kids, both about twelve years old, enter the room behind her. The boy was tall, thin, with huge glasses and eyes so intense he reminded Mike of a hawk. The girl, even taller, had the easy confidence of what promised to be beauty and, unless he missed his guess, money. I don’t have time for this, Mike thought, and wondered who’d put these kids up to this visit. Silently, he motioned for them to take a seat. “You’re busy and so are we, so I’ll get right to the point,” Eli said. Mike had to repress a smile. The boy’s manner was surprisingly adult, and he reminded him of someone but Mike couldn’t think who. The girl put her hand on Eli’s arm and he instantly sat down, but he turned his head away and wouldn’t look at Mike. “Perhaps I might explain,” the girl said, and she introduced herself. Mike was impressed with the girl as she succinctly told their story, of Eli’s offer to go to Princeton but his refusal to leave his mother alone. As she spoke, Mike kept looking at Eli, trying to piece everything together. So the kid wanted a billionaire to take care of his mother. Ambitious brat, wasn’t he? At that Eli removed a worn, raggedy envelope from the folder he was carrying. Mike recognized it as Frank’s private stationery, something he reserved for the family only. It was a way the family had of distinguishing private from business mail. His family frequently joked that Frank never used family stationery for anyone who did not bear the same last name as he did. There was even a rumor that on the rare times he’d sent a note to whichever date was waiting for him at the moment, he’d used business letterhead. Yet Frank had written this boy a letter on his private stationery. “May I see that?” Mike asked, extending his hand. Eli started to return the letter to his folder. “Go on,” Chelsea urged. “This is important.” Reluctantly, Eli handed the letter to Mike. Slowly, Mike took the single sheet of paper from the envelope and read it. It was handwritten, not typed. To Mike’s knowledge, Frank had not handwritten anything since he’d left his university. I was so glad to receive your last letter. Your new theories on artificial intelligence sound magnificent. Yes, I’ll have someone check what’s already been done. One of my brother’s wives had a baby, a little girl, with cheeks as red as roses. I set up a trust fund for her but told no one. I’m glad you liked your birthday present, and I’ll wear the cuff links you sent me next time I see the president. How are Chelsea and your mother? Let me know if your dad ever again refuses to pay child support. I know a few legal people and I also know a few thugs. Any man who isn’t grateful to have a son like you deserves to be taught a lesson. Mike had to read the letter three times, and even though he was sure it was from his brother, he couldn’t believe it. When one of his siblings produced yet another child, Frank’s only comment was “Don’t any of you ever stop?” Yet here he was saying his brother’s new baby had cheeks like roses—which she did. Mike carefully refolded the letter and inserted it back into the envelope. Eli nearly snatched it from his hands. Forty-five minutes later, with the help of his wife, Samantha, Mike finally understood the whole story. And more importantly, he’d figured out who Eli reminded him of. Eli was like Frank: cool exterior, intense eyes, brilliant brain, obsessive personality. As Mike listened, he was somewhat hurt and annoyed that his elder brother had chosen a stranger’s child to love. But at least Frank’s love for Eli proved he could love. “I think it’s all wonderfully romantic,” Samantha said. “I think the poor woman’s going to meet Frank and be horrified,” Mike muttered, but when Samantha kicked him under the table, he shut up. “Twelve petite,” Chelsea said. “She’s short and f—” She didn’t have to turn to feel Eli’s glare. He wasn’t saying much, and she knew that it was because he was hostile toward Mike. “She’s, ah, round,” Chelsea finished. “I understand,” Samantha said, getting a little notebook from her handbag. “What difference does her dress size make?” Mike asked. “Cashmere? !” Eli and Mike said in unison, and it made a bond between them: men versus women. At that Samantha gave Mike a hard look, and he knew that all sense of proportion was lost. From now on, anything Eli and Chelsea wanted, they’d get.